Click on the name of each survey to open it then print a copy of each one. You'll want to make enough copies of the surveys for each person who will need to complete a printed copy. Things to keep in mind when distributing and entering the printed surveys. Remind those doing the printed surveys that they must be complete. 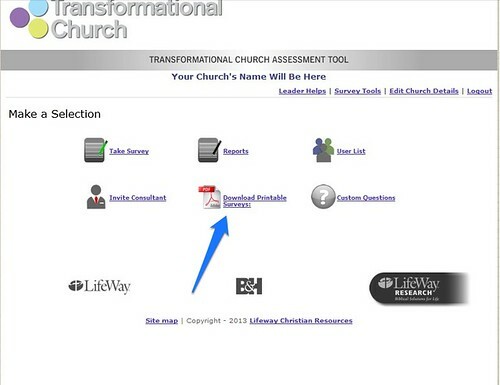 Only completed surveys are included in the TCAT results. 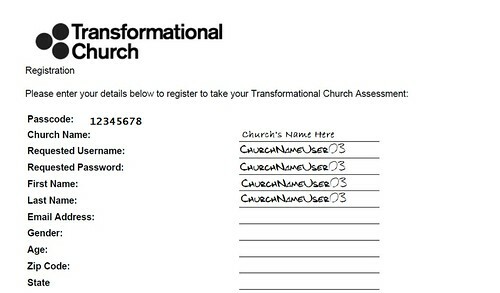 We recommend simply using some form of the church's name and a number such as GraceChurchHville01. 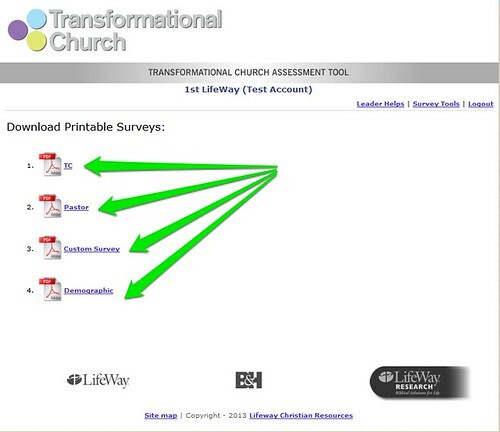 If you have 10 printed surveys, each one would have a unique username ending in the next number such as GraceChurchHville01, GraceChurchHville02, GraceChurchHville03, and so on. 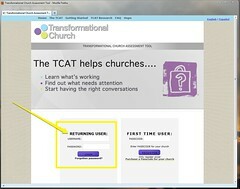 This username can then we used when entering the printed surveys into the TCAT tool.